It’s hard to stay compliant with all the rules and regulations of CSA. if you don’t have a system in place to counter truck inspections. The cost of truck inspections can be hefty. Every fine can cost $50 or more, depending on the gravity of the violation. Not to mention the lost time and showing up late for a drop off. Add repair costs and legal hassles, and it could be even more. The question is how you can avoid such truck inspections? How can you avoid such unnecessary expenses and hassles? If you think that your route optimization software can do it, then wait! Not all route planners can help you with this. They might only be good for route planning and few other things. So, are you now wondering how to tell whether your software is keeping your fleet protected? Well… then you first need to understand the Federal Motor Carrier Safety Administration’s (FMCSA) process for truck inspection. Step two is you have to know how your route optimization software addresses those parameters. But, don’t worry. We know that researching this could be challenging and takes time. So, we’ve done the research for you and presented it here. This will help you use it as your go-to source for anything related to truck inspections. Read on to learn more. An observable defect can cause your truck to be inspected at any time. These visual violations easily attract the attention of inspectors (and police). In fact, according to a report, an observable defect triggers 63% of road inspections. But, you can avoid such inspections if you have scheduled maintenance in place. This is where Route4Me’s route planning software can help you and where most other route planner apps fail. 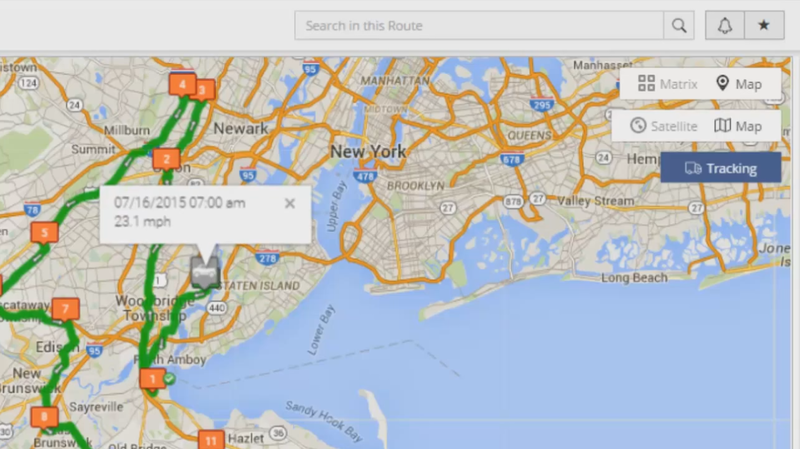 Route4Me automatically tracks the number of miles your trucks have traveled. In this way, you know when you need to send a truck for maintenance. You might understand this better with an example. You have a truck that travels 100 miles a day and needs maintenance every 10,000 miles. Route4Me shows you that the truck has already traveled 7,000 miles. So, you can calculate that your truck will need maintenance in 30 days. It’s that simple! That way, you don’t need to worry about any penalties due to observable defects. But, you should ensure that your drivers check their lights and reflectors every day. They should do this both before and after driving. Any broken or missing lights or reflectors could lead to a spot inspection. Carrying spare fuses or bulbs isn’t a bad idea. Broken lamps can cause problems. So, make sure that they inspect these small things every day. According to a report, traffic violations cause 22% of roadside inspections. Following other cars too close. These can also lead to a greater risk of terrible accidents. But, you can avoid such instances by keeping a check on your drivers’ on-road behavior. This is where Route4Me can help. It tracks your drivers’ speed in real time. That way, you can immediately inform your drivers to slow down. But, that’s not all. 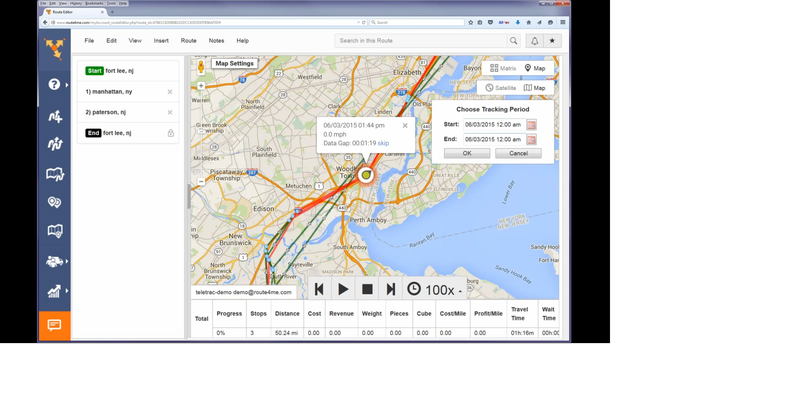 Route4Me’s delivery software also comes with a playback feature. This helps you track your drivers’ previous movements. In this way, you can easily provide data-driven feedback to your drivers. The Inspection Selection System (ISS) plays a key role in roadside safety inspections. According to a report, the ISS triggers 15% of roadside inspections. It comes with a scoring system from 1 to 100 that defines how often you’ll get inspected. The lower your score is, the safer your trucks will be. Most routing programs ignore this. But Route4Me helps you meet most of these criteria… but we are not a fitness app… yet. We have already covered how Route4Me’s speeding tracker can ensure safe driving. So, the following are examples of how Route4Me helps with meeting the other criteria. Want To See For Yourself How Route4Me Can Boost Your Profits? Whether you want to slash the time it takes you to plan routes for your drivers, increase the number of stops they can make, or keep your customers satisfied knowing that your drivers show up on time… Route4Me helps you achieve that! 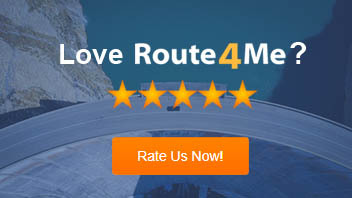 With Route4Me, you can set the “route duration”. This ensures that your drivers don’t violate the total hours of service allowed per day. It also helps you keep overtime in check. Route4Me’s route optimizer even shows you when the sun will rise and set in an area to avoid driving in the dark. You just need to key in the zip code of the area that you need to cover as shown in the image below! We’ve already covered how Route4Me can help you with scheduled maintenance. But, it can also help you with your cargo. With Route4Me, you can set the maximum weight per vehicle. In this way, you can easily avoid inspection due to cargo violations. For example, your truck may need to cross a bridge that only allows 50,000 pounds of weight. But, your truck is carrying 60,000 pounds of cargo. Crossing the bridge with the existing load will cause your truck to be inspected. It could even be fatal to both the driver and your business if they get into an accident. You can face some serious penalties or legal hassles if it causes serious damage. But, with Route4Me’s multi stop route planner, you don’t need to worry about such things. You just need to set the maximum weight to 60,000 pounds per vehicle when planning the routes. The route optimization software then provides you with a route that doesn’t have bridges allowing for less than 60,000 pounds. This will ensure that your truck doesn’t end up crossing the wrong bridge. By being informed about potential violations, you can make weight capacity adjustments accordingly. Carrying hazardous material in the wrong areas could lead to inspections and mishaps. For example, a truck carrying radioactive material should never travel through highly populated areas. Instead, they must only use back roads. Route4Me’s routing software can help you here as well. When planning routes, you can select the type of hazardous goods you will be shipping. 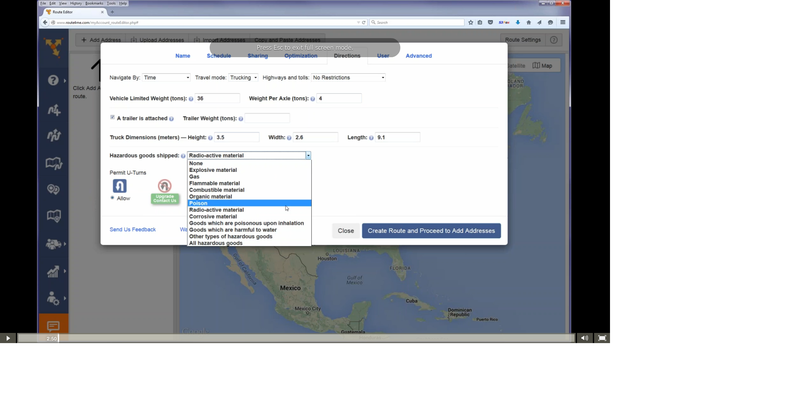 You can do this from the drop-down list, as shown below. So, if you select radioactive goods, a route will be planned through low population areas. In fact, it will even exclude roads that are restricted to the kind of goods being shipped. This will certainly help you stay away from frequent inspections. Unfortunately, Route4Me’s driving route planner cannot track driver fitness or control alcohol consumption. So, you need to keep a check on this on your own. 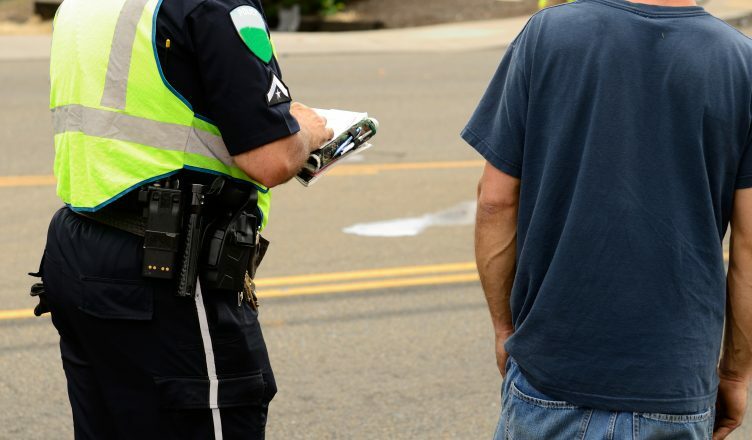 Educate your drivers about driving safely and following traffic laws. The best part is that you can do all of this with the help of Route4Me’s tracking and optimization tools. So, how do you avoid truck inspections? 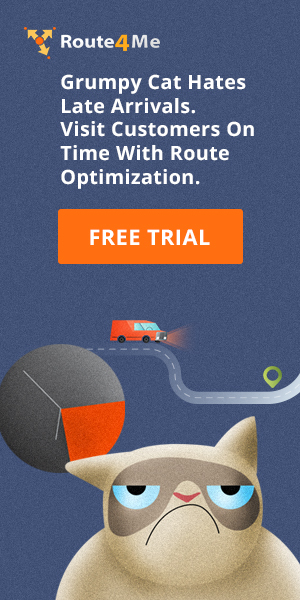 Do you use any route optimization software? Let us know in the comments section below. Is Vision System a Step Towards Coding Ethics into Self-Driving Vehicles? Route4Me has over 23,000 customers in over 100 countries. Route4Me’s mobile Android and iPhone apps have been downloaded over 1.9 million times since 2009. The apps synchronize routes, enable two-way communication with drivers, offer turn-by-turn directions, delivery confirmation, and more. Behind the scenes, Route4Me’s operational optimization platform combines high-performance algorithms with data science, machine learning, and big data to plan, optimize, and analyze routes of almost any size in real-time. © Route4Biz by Route4Me. All rights reserved. No Thanks, I prefer to spend hours planning routes and want my team to keep driving in circles. Thank You! We will send your exciting report on how to minimize route planning time.